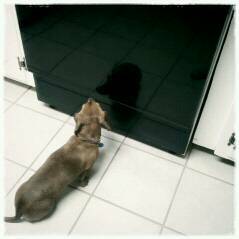 Who's that doggy in the oven? The one that apparently smells like chicken an rice. I honestly can't tell if she is looking at herself or smelling the food. She's an odd one.